Working out is hard work. There is no easy path to better fitness, which unfortunately leads to many people flaming out and giving up on their workout routines. The thing is, working out is vital to your health. Living with obesity has a number of very serious health risks, many of which are pretty likely to actually kill you sometime down the line. Even if you aren’t overweight, though, having a good workout routine now is the only way that you can maintain your physical comfort and ease of movement as you get older. Take a look at the MRI of a sedentary older person and an active one sometime; the difference is striking. Still, for many of us, the inevitable consequences aren’t quite enough to motivate us to work out today. We know that we should exercise, but it’s just so easy to make excuses and to let it slip. For anyone who wants to stick to a workout regime but has trouble making the commitment, here are a few methods you can use to keep yourself on the path. The single best way to motivate yourself to work out is making it something you actually want to do. This may sound obvious, but not all exercise has to be done in a gym, on a treadmill or lifting weights. Exercise can be whatever you want it to be. Different exercises will, of course, yield different results, but ultimately, it’s the fact that you’re getting active that matters more than anything. If you like spending time outside, go for jogs. If you like being a part of something social, join a class at your local gym. If you get bored with working out and want something that will engage and challenge you, try a rock climbing gym. The point is, there are about as many ways for you to work out as there are activities you can do. Try them all to see what you like; you might be shocked at what you find yourself actually enjoying. When you schedule something in, it becomes more concrete. Instead of just assuming that you’ll work out on certain days, actually make it a part of your itinerary. You’ll never be able to rely on the excuse that you forgot, and having a physical reminder there makes it something that you are less able to dismiss or procrastinate. You can’t go to the gym in chinos. You need to get workout clothes anyway, and they might as well be nice ones. 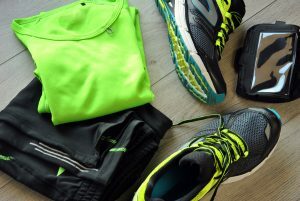 If you have decent workout clothes and a good pair of comfortable running shoes, you’ll not only be better prepared to get fit, you’ll also be a bit more committed. Buying workout clothes or paying monthly for a gym membership are things you don’t want to go to waste, so you’ll be less likely to make excuses not to work out. 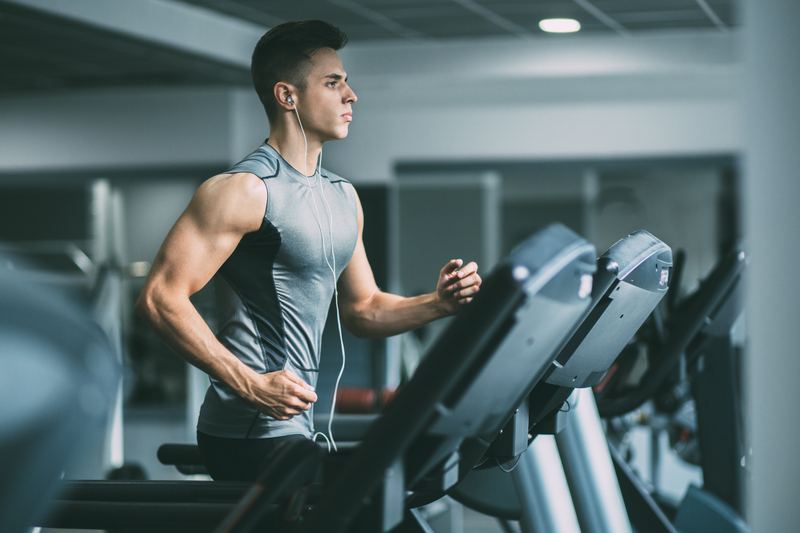 If you’re financially stable enough, buying a workout machine like a treadmill or a resistance machine is an extension on the same idea; you paid for it and it’s taking up space so you might as well use it. If you find yourself thinking that you would go work out after work but you can’t run in a suit and a tie, you should remove that excuse from the equation. Keep an extra set of workout clothes in the glove box or the trunk, or in a backpack if you don’t drive. Wherever they are, they should be handy just so you can never tell yourself that you’d do it if you were dressed properly. If you give yourself a reward for working out each time, you might find yourself looking forward to the reward more than you dread the workout. What the reward be will obviously vary from person to person; maybe it’s a tasty treat, or a pack of Magic cards, or you let yourself watch an episode of a favorite show. Whatever you choose, it’s important that you’re strict about it. If you give yourself the reward anyway, then it’s not a real incentive, so this method does take some measure of willpower. Having workout buddies to go to the gym with is a wonderful way to keep yourself honest. When you fail to go to the gym alone, the only one you let down is yourself, but when you don’t show up to meet a friend, you’re actually letting down someone else. Most people would rather avoid such a social faux pas, and make sure to show up for gym dates even on days that they really would rather not. 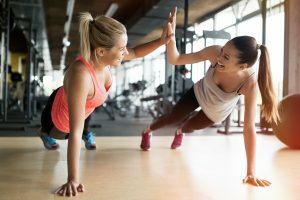 Exercising with your friends can also just make the whole experience more enjoyable, as you have someone to share it with. Strong friendships can be built or reinforced by time spent together in the gym. This is an extremely important step: don’t beat yourself up that bad when you fail. When you hold yourself to rigidly fixed standards, failing those standards can mean a much larger fall. If you fail to workout one day that you’re supposed to and get all furious at yourself, you’re more likely to treat the whole thing as a failure and give up entirely. If you can forgive yourself for skipping the day, though, and tell yourself that you’ll go tomorrow instead, you’ll be more likely to be able to stick to it. Finally, don’t make goals for yourself based on externalities. Don’t say that you’re going to lose a certain amount of weight by a certain point in time. If you do, a failure to reach those goals can be crushing, and make you feel the whole thing has been a waste of time. Instead, focus on goals you can accomplish, things you can actively do. If you’re having trouble running for a full mile, make that your goal. Step it up to a mile and a half once you achieve that, and then two. If you can’t do a push-up, accomplishing one full push-up is your first goal. Exercise is a reward to your body no matter what the physical extent, so don’t get despondent about factors you can’t control, and focus on the ones you can.